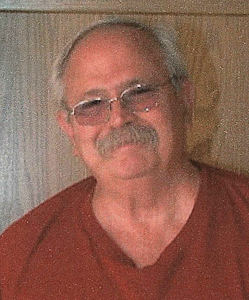 Michael L. Crumly, 69, of Lenexa, KS, passed away August 16, 2018. He was born October 21, 1948 to Max and Dorothy (Hubbard) Crumly in Marshalltown, IA. Michael served our country in the U.S. Navy, and went on to enjoy a career in sales, and was employed with M.L. Crumly & Associates. He was a member of the First Baptist Church of Olathe, and enjoyed his hunting trips to Canada. Michael is survived by his son, Jeffrey Crumly and his wife, Mary, and grandchildren Shelby, Abby, Josh, Tim, Brooklyn, and Chase, and his former wife, Janice Crumly. He was preceded in death by his parents, and his sons Robbie Crumly and Matthew Crumly. In lieu of flowers, memorials are suggested to First Baptist Church of Olathe. Add your memories to the guest book of Michael Crumly. Mike was my friend. I helped him with a few projects from time to time. I hope that he is at peace.